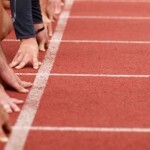 Angie Smit will be going for three years in a row in the Sylvia Potts Memorial 800 metres this weekend, the key event at the Potts Classic meeting in Hastings on Saturday evening. 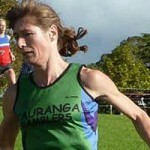 The Potts Classic is the second round of the asics Athletics NZ Grand Prix Series. Round three will be at the Capital Classic on Monday and the series will then move to Wanganui on Friday 27 January for the Cooks Classic. In 2010 Smit, from Christchurch, won in 2m 8.10s and last year 2m 9.06s. 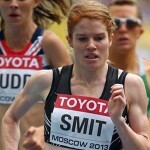 Smit comes into the race fresh from her 2m 6.93s run in Brisbane last Saturday. Chasing Smit will be fellow Cantabrian Hannah Newbould, Rebecca Greene of Dunedin, Margot Gibson, Anna Bramley, Camille Buscomb and national W16 and secondary schools champion Kerry White of Te Aroha. Newbould was third last year and second in 2010 in 2m 10.81s. Greene, the secondary school double champion and record holder, is also entered in the Women’s 20 3000 metres New Zealand championship at the meeting and will decide closer to the event which race she will contest. Competition in the 3000m will come from Kara MacDermid of Feilding, who was third last year, world mountain running representative Nicole Mitchell of Wellington, national junior road champion Georgie Grgec, secondary schools Road champion Olivia Ritchie of Hamilton, Lydia Marshall of Christchurch and Grace McConnochie of Gisborne. Julian Oakley of Tauranga, Declan Wilson and John Schreuder, both of Auckland should battle out the Men’s 20 3000 metres title. Oakley is the NZ Schools and Athletics NZ junior 1500m champion and has shown good form this season which included victory in the John Walker junior mile in Auckland just prior to Christmas. Wilson was an easy winner of the NZ Secondary Schools 3000 metres championship in December, while Schreuder ran a quick 3000 metres in Melbourne also in December. Also entered are Ryan McAlister of Wellington who was sixth last year, Jacob Priddey of Hamilton and North Harbour’s Thomas Currie. A strong field will line up in the women’s 100m hurdles which include Sarah Cowley who clocked 13.92s last Saturday, Portia Bing, Zoe Ballantyne, Rochelle Coster and Madison Gipson. Ballantyne, Coster and Gipson are also entered in the 100m. Isaac Tatoa from Auckland looks set for a fast time in the men’s 100m. Talia Horgan of Cambridge, back after racing in the NZ 4 x 400 metres relay team in Brisbane on Saturday, will be chasing a fast time in the 400 metres. At the national secondary schools championships in December, the 15 year old won the junior girls title in 55.35s, narrowly missing the standard of 55 seconds for a national W16 record. Also racing over 400 are national W19 champion Kristie Baillie of Hamilton and national schools senior girls champion Ellie McCleery of Hamilton. The hammer throw will feature national junior champion Ryan Tinkle, New Zealand secondary schools senior boy champion Alex Fafeita, junior boy champion Matthew Bloxham and Adam Miller. Ben Langton Burnell secondary schools champion will compete in the javelin throw. The meeting starts at 5.30pm at the Hawkes Bay Sports Park in Hastings.